These 5 death-defying Heroes possess special powers that can stir up trouble for the opposition. Valguard has First Assault and Berserker Charge Enhancement powers. Sudema's Stare of Stone power can instantly strike down her adversaries. Morsbane's Rod of Negation can cancel an enemy's power. Parmenio's Sacred Band Defy Death powers can bring his fellow warriors back to life. Major X17 freezes enemies with his Improved Cyberclaw, and his Melee Defense 4 adds 4 extra die in hand-to-hand combat. 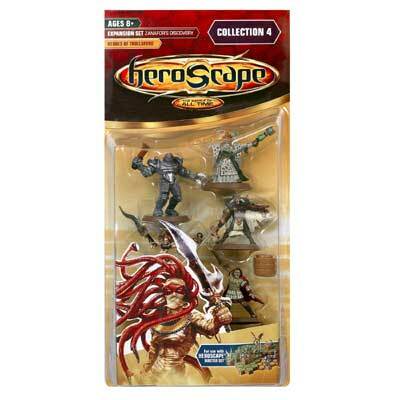 Requires Heroscape base game to play.